Wich character do you prefer as a lover for Christine: the Phantom or Raoul? paborito Grease song out of my faves? My tuktok 10 musicals, which is your favorite? Out of my favourite musicals, which is yours? What is the name of the book at the end of Book of Mormon that the villagers are taking door to door? Which Broadway songs can an Alto girl sing? 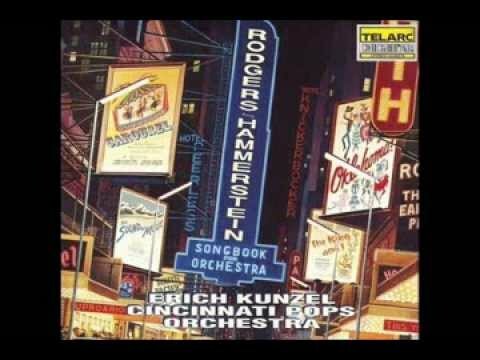 What are your tuktok 5 paborito songs from musicals? What musical SONG best tells the story of your life, and WHY? Hi guys, I managed to watch the 25th Anniversary of Miss Saigon and I was really blown away sa pamamagitan ng not only the show, but the actors playing the main characters. So are you ready time travel back to the Vietnam War? As many of you don't know, the story is base on Puccini's tragic opera, 'Madama Butterfly'. Which change the location and time period from Hapon to Vietnam in the midst of the Vietnam War, the only difference is that Kim is a bar girl whereas paruparo is just an ordinary 15 taon old Japanese girl. Hi guys, this is the segundo artikulo that I had written and I'm going to write a listahan of some of my favourite musicals. Some of them I had already seen, others I am dying to watch it either on Broadway or West End. I had seen this musical in Singapore 10 years nakaraan and I feel in pag-ibig with the songs, I still have the original cast recording onto my iPod. The settings are amazing and I pag-ibig the costumes as well, my favourite scene is pagbabalatkayo and the Final Lair. Hi guys, I had long to see this musical, which is base on Puccini's tragic opera 'Madame Butterfly'. So here are my reasons on why I pag-ibig to see the famous musical! I knew some of the songs like 'Why God Why?' and 'Bui Doi', just to name a few. That I could not get them out of my head! My favourite song is 'Sun & Moon' because it's such a sweet song that you want to sing it with your pag-ibig ones! The other song that I pag-ibig is 'I Still Believe' which is a very sad song that I nearly cried while listening to it. When I first viewed Pippin with Ben Vereen in the DVD of the 1982 Toronto production, I had one giant problem with it that was keeping from absolutely loving this musical; it was dated. Weather it was the hair, the music, or the pangkalahatang staging, the cobwebs somehow kept me from completely appreciating this wonderful musical. I have mixed feelings about the NBC Live Musicals. (Please take note, I have not seen its Sound of Music). On one hand, they are getting musicals back into mainstream culture, sparkling an interest in musicals into the susunod generation, and giving families something fun to watch on telebisyon together. But on the other hand, from what I have heard about from the Sound of Music live…They can be pretty overblown copies that add “cool” millennial crap. People of the internet, welcome to Dickensworld! Religion is a touchy subject. So touchy, that dare sort of medium discusses or uses it, there will be hate letters and hate mail streaming through the creators mailboxes and computers. Even Godspell as harmless as it seemed was criticized for portraying Hesus as a clown. So what happens when Trey Parker and Matt Stone, the writers of a notoriously offensive, but surprisingly thoughtful and extremely well-written cartoon series make a musical discussing religion, using The Church of Latter araw Saints as its focus? a comment was made to the poll: Girls lets say you're Elaine Paige, out of these musicals she's been in what would you want to be in? In the Time Warp what ilipat was susunod 'Put your hands on your hips'?